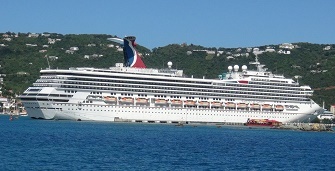 The Carnival Glory offers alternating eastern and western Caribbean itineraries from PortMiami, FL. Please visit the Carnival website for a complete schedule. Family-friendly offerings available on Carnival Glory, include, Seuss at Sea, an exclusive partnership with Dr. Seuss Enterprises; Hasbro, The Game Show, with larger-than-life adaptations of the company’s iconic games; all-ages shows at the Punchliner Comedy Club, and fun, supervised programming for kids in three age groups. The Carnival Glory received a multi-million-dollar renovation in 2017 that added a host of new facilities and features, including an expansive WaterWorks park featuring the new AquaTunnel slide, as well as the line’s signature Twister slide. 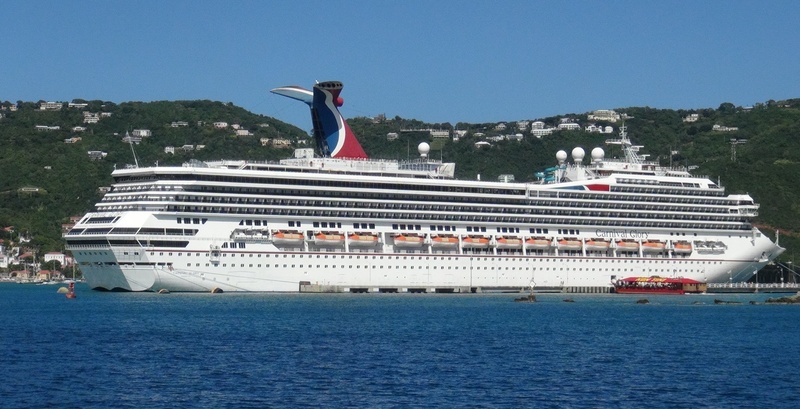 Carnival Glory operates year-round seven-day cruises from Port Miami. Golden and Platinum main dining rooms. The Golden dining room, located forward, was reconfigured for Your Time Dining providing guests the option of open seating between 5:45 p.m. and 9:30 p.m. nightly. The Platinum dining room offers fixed seating. Main buffet including pizzeria, deli, grill and the new Mongolian wok option located poolside on Lido Deck. At the new venue, guests can select their favorite meat, sauce, vegetables and other ingredients and watch as a chef creates their custom-designed stir fry dish right before their eyes. Complimentary poolside venue offering burgers, hand-cut fries, and more. Complimentary Mexican cantina with authentic tacos and burritos that can be personalized at extensive salsa and toppings bar. Gourmet steakhouse with seafood, entrees, gourmet appetizers, and an extensive wine list and dessert options are even available located on the Panorama deck. $35 per person surcharge applies. A complimentary coffee and pastry bar located on Promenade deck. Poolside Caribbean-themed watering while offering a variety of the region's top rums and beer. Laid back atmosphere. This is the place to let go and get lost in the music as the DJ spins out today's latest hits. An Intimate lounge to kick back and order your favorite drink. A jiving Jazz club and cigar lounge perfect for after dinner. A cabaret style lounge offering activities during the day and music and comedy in the evenings featuring the Punchliner Comedy Club. Punchliner offers five 35-minute shows on multiple nights during each voyage, with at least two comedians performing each night. The two early-evening shows offer fun for the whole family while the later performances will feature adult-oriented comedy. Located on Promenade deck. Located on Deck 12, WaterWorks features a 75-gallon PowerDrencher tipping bucket and kiddie area with dual mini-racing slides and a variety of water toys. AquaTunnel offers spectacular views zipping down a 203-foot-long enclosed translucent tube. Also featured is a 212-foot-long Twister slide, a thrilling corkscrew water attraction full of heart-racing twists and turns. Watch the waves from the azure aft pool located on Lido deck. Main pool area located midship. Available on any guests’ Internet-connected laptop or at dozens of convenient locations throughout the ship is the Fun Hub, a social network and comprehensive shipboard intranet portal.